What would our tour be without music – either planned or serendipitous? 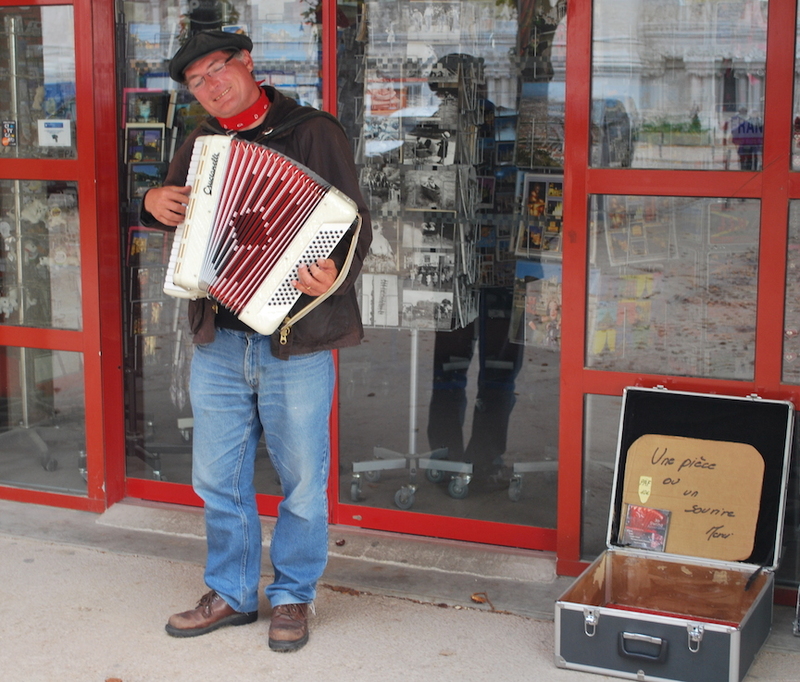 This cheerful-looking busker plies his trade at the top of Fourvière hill, near the imposing church that you can see in a previous post. His sign reads: “A coin or a smile…thank you.” I gave him both. Une pièce ou un sourire. Merci.